All 7 Modules: Alphabet, Consonants, CVC, VCE, Vowel Digraphs, R-Controlled and Diphthongs. Includes a Teacher’s Guide and Student FunBooks for each of the 7 modules. 1 each Thurman & Marshmallow take-home dolls are included. Alphabet Module Children must learn the alphabet before they can learn words. 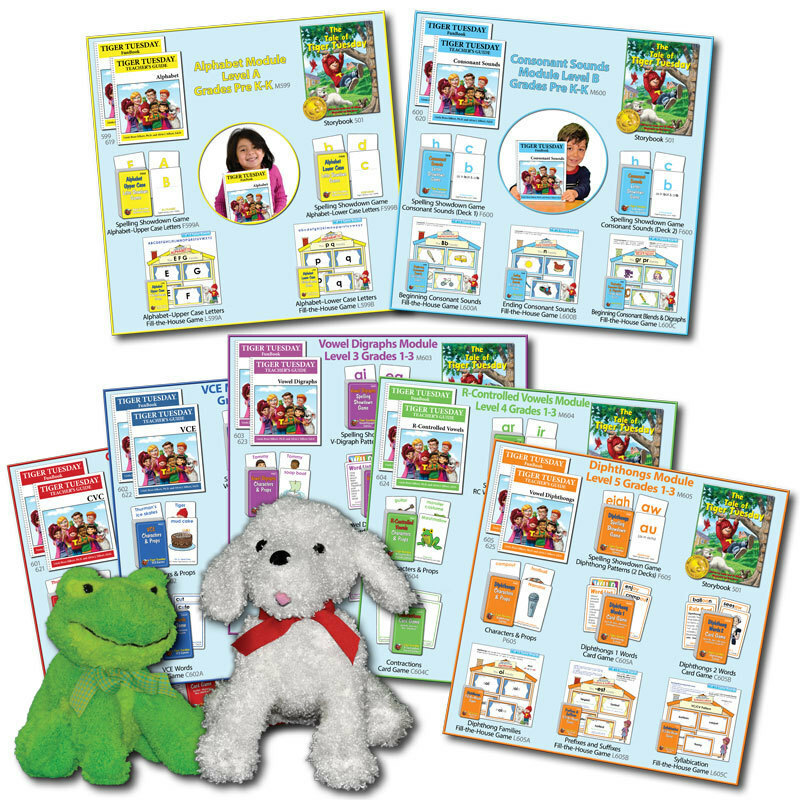 This module includes games, a FunBook, detailed Teacher’s Guide with additional activities and songs that help beginning readers learn the alphabet. Consonants Sounds Module Next, we help kids recognize consonants and consonant blends with their spoken sounds. This module includes games, a FunBook, detailed Teacher’s Guide with additional activities and songs.